As the presidential electoral results in Kenya were being overturned last week by the country’s highest court, the post-election crisis in Angola continued to deepen. The opposition lacks legal avenues for recourse and the government is scrambling to hide its crisis of legitimacy. The 23 August elections marked a turning point in the country’s political order. It is the biggest challenge the governing People’s Movement for the Liberation of Angola (MPLA) has faced since the end of the war in 2002 when it installed a system of unchecked and unchallenged hegemony. A veil of fear has been lifted – constituencies across the country are openly criticising the MPLA, calling for reform and supporting the opposition. According to the parallel count, the capital Luanda is now an opposition stronghold. Apart from initiating the process where after almost four decades in power José Eduardo Dos Santos handed over the presidency to João Lourenço, the polls also signalled a piercing call for change, not continuity. But the opposition refuses to accept the results, with discrepancies continuing to emerge in the tabulation process of the National Electoral Commission (CNE) and the opposition’s parallel count. So far there is agreement on the results of only three of the 18 provinces. Like Kenya where the issue concerned the 34 A and B forms, the result sheets for these elections hold the key to the truth of who won the popular vote in the different provinces. Unlike Kenya, the opposition is not disputing the MPLA victory but rather the tabulation process that awarded the ruling party more votes. According to the official figures announced by the CNE, the MPLA was awarded 61%, the National Union for the Total Independence of Angola (UNITA) 26%, Broad Convergence for the Salvation of Angola – Electoral Coalition (CASA-CE) 9%, Social Renewal Party (PRS) 1.3%, National Front for the Liberation of Angola (FNLA) 0.9 % and National Patriotic Alliance (APN) 0.51%. The opposition’s parallel tabulation – based on over 95% of the original result sheets – is still being completed, but so far reveals that the MPLA’s margin of victory is lower, closer to 54%, and UNITA’s is closer to 35%. The electoral process was characterised by illegal and partisan political manoeuvring from the start. It began with the transfer of the voters roll from the CNE to the Ministry of Territorial Administration – meaning there was no control on who was added or left outside the voters roll. Ensuring the credibility of the voters roll is key to the process’s transparency as it determines who can and can’t vote. In the 2012 polls, the opposition was alerted to voter profiling on the basis of regional and ethnic affiliation that led to over 2 million voters unable to cast their votes – many thought to be from their support base. The opposition deemed this a form of ‘forced abstention’. This time abstention levels reached 24% – over 2.1 million voters. The next element of abuse by the ruling party was the use of state infrastructure and resources to conduct its campaign, in line with previous co-optation drives of vote-buying. Use of the state media was also severely slanted towards the ruling party. Another irregularity involved the contracting of INDRA and SINFIC – both companies accused of helping rig previous polls. They were hired to help with logistics (ballot boxes and printing extra ballot papers) and electronic systems governing the central database of voters and the tabulation process. Both companies’ activities and contracts were controlled by the Security Bureau of the Presidency rather than the CNE. On 24 August the parallel tabulation process of the opposition UNITA and CASA-CE started revealing unexpected results. Officially, provisional results were only shared 24 hours later without the participation of opposition representatives in the tabulation process. They literally didn’t add up: the CNE’s first provisional results totalled 100.37%, while the second came to 99.99%. None of the 18 provincial tabulation centres sent their results to Luanda. CNE spokeswoman Júlia Ferreira said results were arrived at by other considerations, not just result sheets. Electoral missions allegedly observed fewer than 300 of the over 12 000 polling stations across Angola. International observers deemed the polls to be credible, just like they did in Kenya. On 3 September the four main opposition parties – UNITA, CASA-CE, the PRS and FNLA – rejected the process that led to the contested results. They proposed the creation of a non-partisan commission from elements of the church and civil society to determine the veracity of the results. Although they have evidence of irregularities, they have few options. The Constitutional Court in Luanda turned down an application to contest and annul the results on 1 September, signalling that institutions in Angola continue to protect MPLA interests rather than defend the Constitution. Unlike Kenya’s judicial system that has shown itself to be independent, Angola’s courts are constrained by the executive’s stranglehold. Peaceful protests will probably be met with a security crackdown that could easily spiral into instability. Appeals for international mediation of the crisis are also likely to go unheeded, as they have in the past. 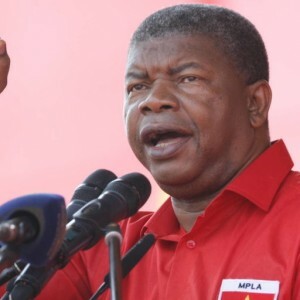 The Angolan government has long had the cover of key international stakeholders whose economic and political interests have been best served by maintaining the MPLA in power. The interests of governing and economic elites in Moscow, Brasilia, Lisbon, Beijing and even Washington have consistently overridden the needs and values of the average Angolan. Even if the opposition backs down and takes its seats in Parliament, the incoming president, Lourenço, will take his amid a crisis of legitimacy. His tenure was already expected to be difficult given the financial recession caused by the recent oil crisis, deepening levels of poverty and poor service delivery, growing frustration with the MPLA and regional security challenges caused by instability in the Democratic Republic of the Congo. And the fact that Dos Santos maintains his chairmanship of the MPLA means that Lourenço’s every move will be directed from behind the scenes. Popular frustrations are particularly acute in areas like Cabinda, which has reactivated its guerrilla insurgency under FLEC-FAC, the diamond areas of Lunda Sul and Lunda Norte, and the Central Highlands. To address each of these issues, he will need to reach out to the very same political and social forces that have contested his legitimacy. Politicians across the partisan landscape are aware of the dangers that this moment represents for the country. While the MPLA may have succeeded in gaining another five years in power, a process of change has begun that many fear could lead to Angola becoming a weaker and more repressive state.